Back to the Future is the set that has been most requested. I like Back to the Future, but I know there’s a bunch of folks out there in my age bracket that LOVE it. 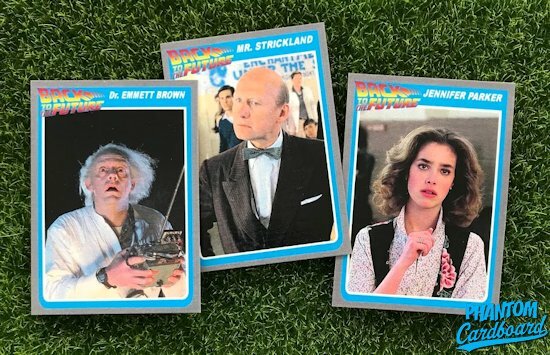 BTTF is actually a mini-set that was already in the making even before I decided to focus on making mini-sets. The reason that is would be because I’ve gotten a number of really cool TTM successes from BTTF cast members. 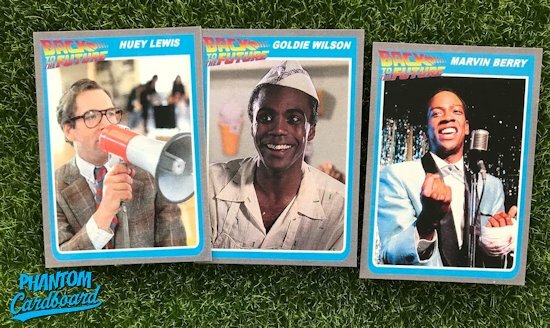 The first card was Huey Lewis. He’s a great through-the-mail signer and I wanted to make something cool for him to sign. 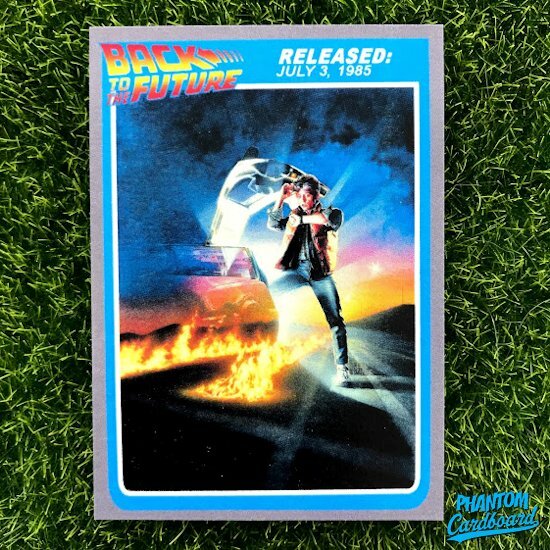 When you think of the songs “The Power of Love” or “Back in Time” you automatically think Back To The Future. I’ve personally always liked Huey Lewis and the News. “Doing It All For My baby” is one of the first music videos I remember ever seeing on MTV when we got cable back in 1987. Very fun video. My family was late to the party when it came to cable T.V. but we made up for it in the years to come. 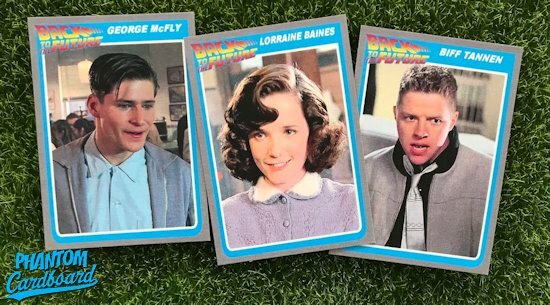 From there I used the same template to get Back To The Futures cards signed from Harry Waters, Jr. (Marvin Barry), Bob Gale (BTTF co-creator), Drew Struzan (poster artist) and Dean Cundey (cinematographer). I also had Mr. Strickland and Robert Zemeckis made but have yet to receive an autograph back from Mr. James Tolkan or Mr. Zemeckis. When I set out to make this set I wanted to use a design inspired by a 1985 set but I’d already done a lot with the 1985 Topps baseball like design. I wanted to do something different. 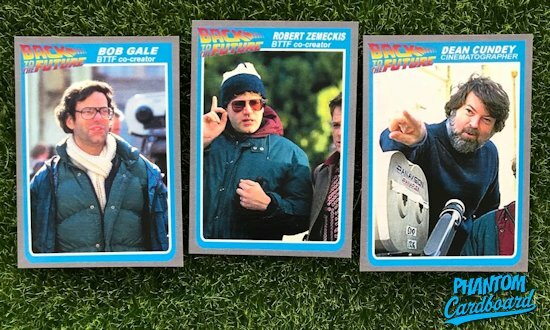 I considered but the 1985 Topps football, 1985 Topps hockey and 1985 Donruss baseball but none of those really did much for me. 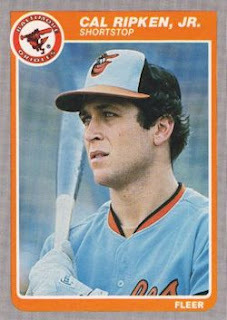 Then I took a look at the 1985 Fleer baseball and had a winner. I think it lends itself nicely to these cards. I love that the inner frame is rounded at the bottom. Rounded corners always feel very early-mid ‘80s to me. The design called for a logo so I added the BTTF logo and color coordinated the inner frame to it. So far this BTTF is the only thing I’ve used this template with but I’m itching to find an excuse to use it again. Another really unique thing about this set is that it features some behind-the-scenes types from the movie. This of course came to be because of having a shot at autographs from those guys. Now, get yourself a set here. Okay time for a random factoid about Back to the Future … You may know Eric Stoltz was the original “Marty McFly” but was replaced after screen testing poorly. But, did you know that before that Ralph Macchio turned down the role!? I guess he just didn’t get the role seeing it merely a story about a boy and his car. Can you imagine that? If he would have taken the role he’s right up there with Stallone and Schwarzenegger as an ‘80s mega star. 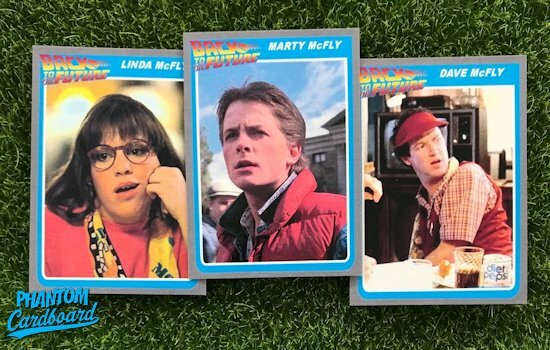 I actually think he would have been a great “Marty” and I could imagine that I’d be a really REALLY big fan of the movie seeing as I’m a way bigger Macchio fan than I am a MJF fan. You think Ralph would like a Delorean to go back and have a mulligan on that decision? These are stellar, man! I did a 1985 Topps version back in 2010. I stopped at one card, though.